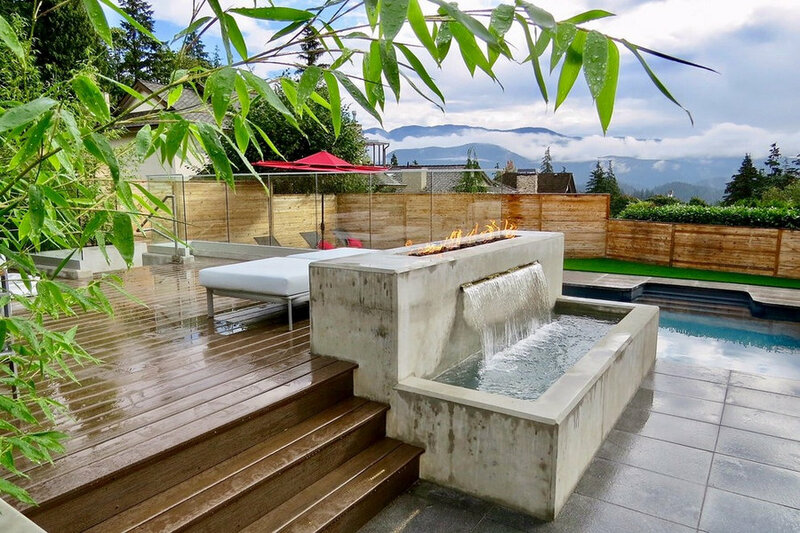 DESIGN: The design solution created three different entertaining zones in a limited outdoor area, generating a multifaceted space for relaxing and entertaining. Segmenting the space created a series of connected outdoor rooms, allowing guests to circulate and to separate into smaller groups. The different levels and varied materials break up what could otherwise have been a vast desert of concrete. CLIENT BRIEF: A modern, low maintenance garden for entertaining that makes the most of the sun in the north-facing garden and maximizes the views beyond. 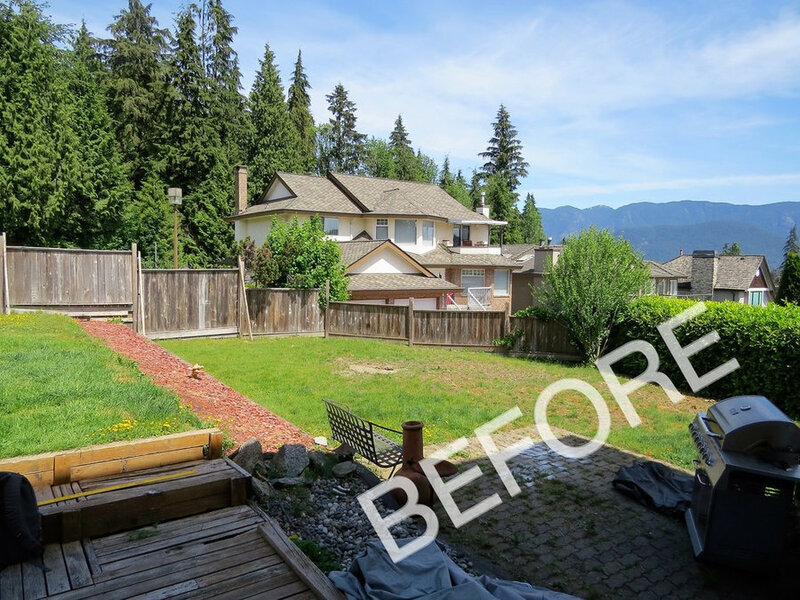 The existing garden lacked any structure or definition. The swimming pool is the main feature. 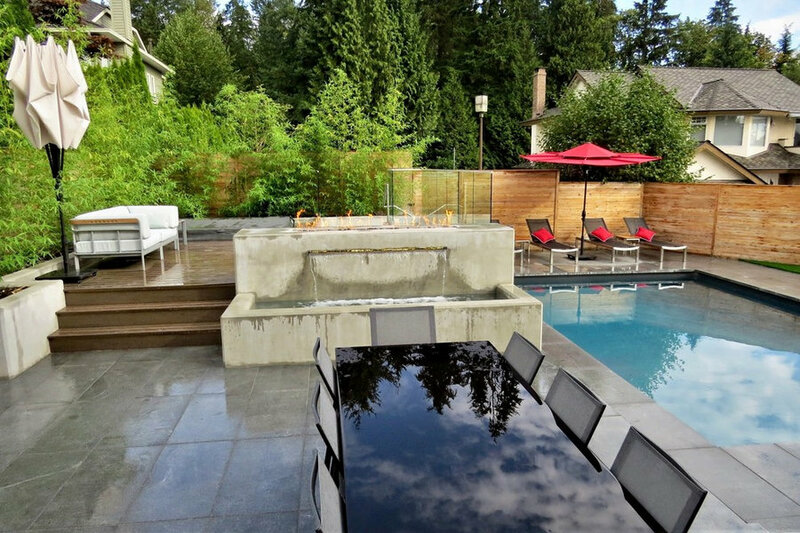 The surrounding large-scale natural stone pavers laid in a “stacked bond” pattern give the space a sleek and contemporary feeling. 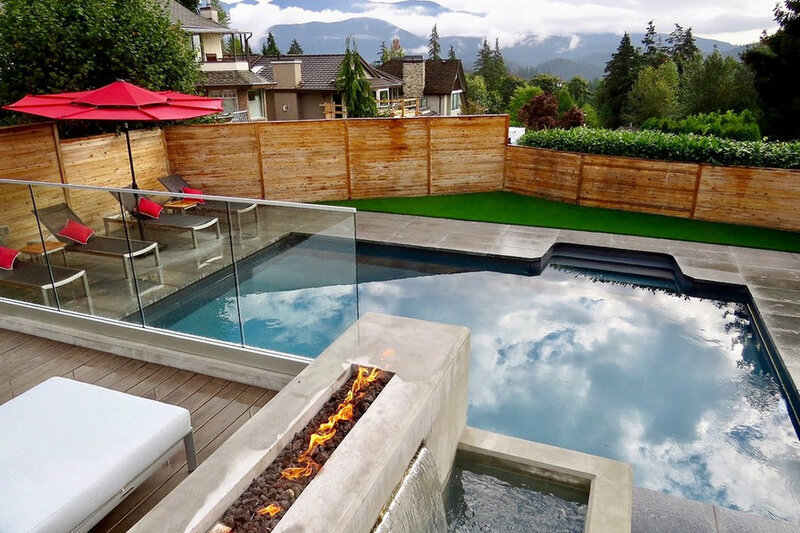 The elevated spa area with a sunken hot tub provides gorgeous views of the nearby mountains. 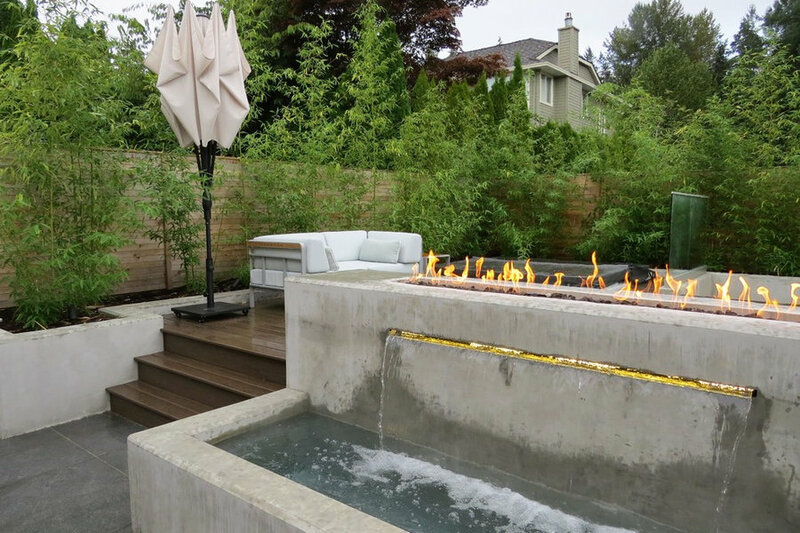 A custom-built combination fire trough/fountain, with its juxtaposition of flames hovering over cascading water, generates a dramatic effect. Bamboo planting creates instant height and provides privacy from neighbours. 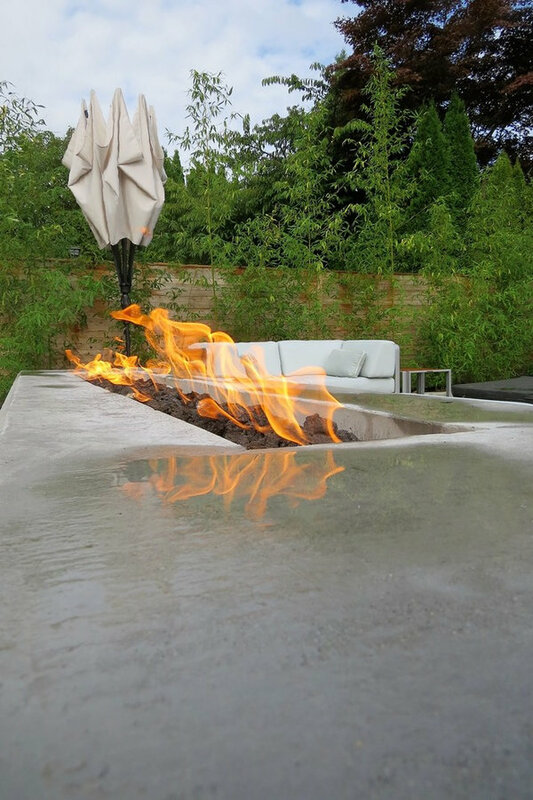 An elongated steel spout illuminated with LED lights spills water into a concrete trough, filling the space with a gentle splashing sound that can be enjoyed throughout the garden. 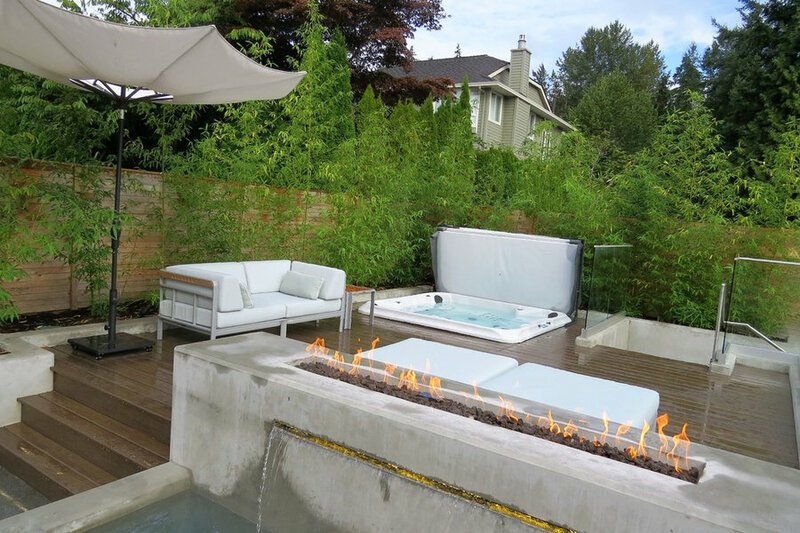 Contemporary garden furniture complements the garden design, letting the clients entertain in style. 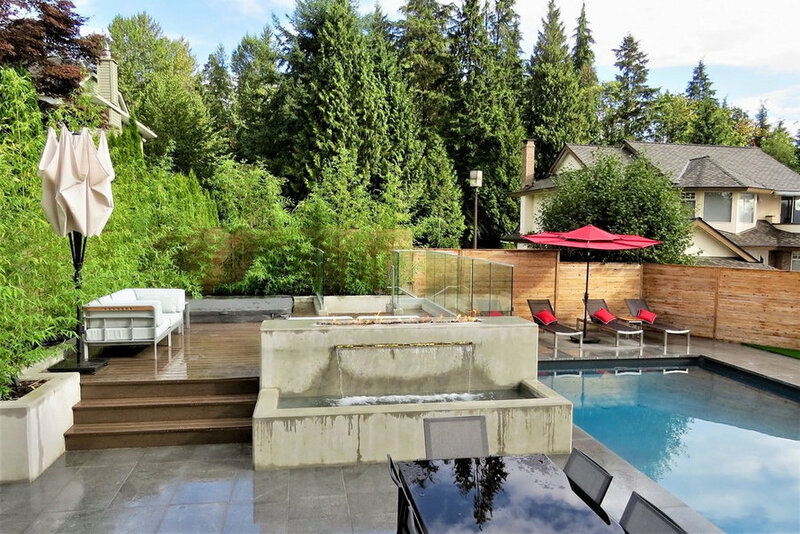 The vibrant red of the patio umbrella and lounger cushions provides a lively accent to the hardscape’s neutral colours.